Are you planning to spend your holiday in Crete? 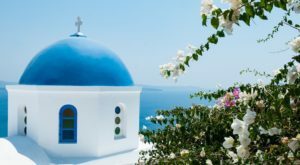 This guide will help you decide in which city to stay in Crete, one of the most beautiful islands of the Mediterranean Sea! The fifth largest island in the Mediterranean, Crete is one of the most popular tourist destinations in Europe, and for good reason. Blessed with a warm climate in the summer and mild temperatures in the winter, Crete boasts idyllic beaches bordered by turquoise waters, splendid mountain scenery, and a gastronomy that is sure to delight your taste buds. There is a wide range of available accommodation options in Crete: youth hostels, campsites, hotels, village houses, private homes… You won’t have trouble finding a place to stay in Crete. Home to 621,340 inhabitants (2011), Crete forms of a bridge of land in the open sea, bridging the gap between Greece and Turkey. Whether you’re travelling near Heraklion – the capital -, inland towards Rethymno, southward around Matala, closer to Chania and the west coast, or to the east coast, here is where to stay in Crete. 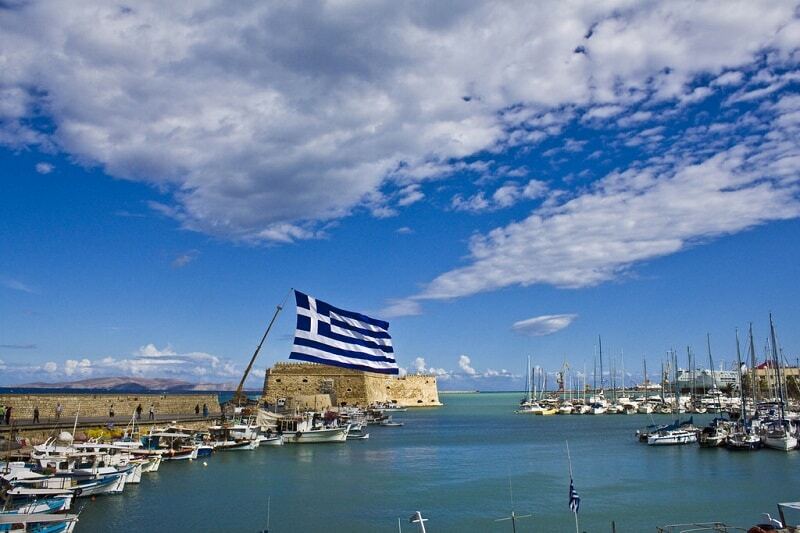 The northern coast of the island is home to Crete’s must-see destination: Heraklion and its 140,730 inhabitants. 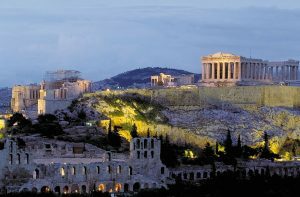 Here, you can enjoy the quaint and preserved aspect of Greek culture. 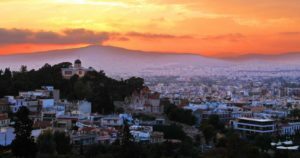 In addition, finding accommodation in the capital will be easy as you can rent many different types of accommodation, ranging from the cheap to the more comfortable : youth hostels, guest houses, bed and breakfasts, hotels. Stroll along the streets, parks, historic buildings, museums and terraces of the city, and don’t miss the archaeological site of Knossos, retracing an important part of Minoan history (2700-1200 BC) in the Bronze Age. Staying in Heraklion is convenient: thanks to the city’s central position, you will be able to explore the rest of the island. From Palaiochora to Rethymno, the western part of the island offers a wide range of activities. On the southwestern coast, Palaiochora is a small typical village where the remains of Venetian civilisation can still be seen, exemplified by the fort of the village. You will find a peaceful atmosphere, a vast offer of accommodation and small friendly bars with sunny terraces. Staying in Palaiochora allows you to relax at the beach of Elafonnissos or to go hiking in the White Mountains, towards Soughia. 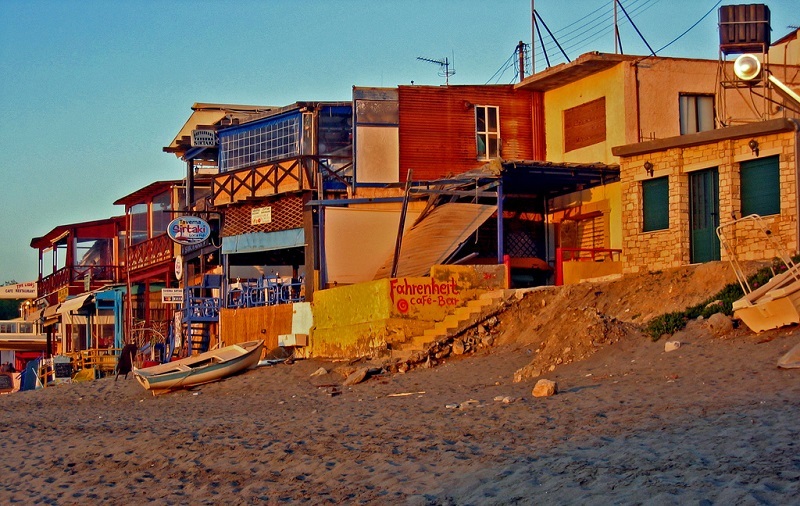 Going up the northwestern coast, don’t miss Chania. With its local markets, craft shops, and pleasant seafront walks, it offers an ideal compromise between cultural visits and relaxing breaks. Another option to stay in Crete: the city of Rethymno. Stay a few nights in this ancient city whose Venetian-era influences have remarkably been preserved through the ages. Long beaches, seaside resorts, mountains, and numerous accommodation options: look no further than Rethymno to stay in Crete! If you’re aiming to visit the centre of the island – home to Psiloritis and Mount Astéroussia – and the fabulous beaches of the south, Matala is a good place to stay, especially if you want to avoid the hotel complexes built in the north to accommodate the hordes of European tourists. The area shelters Gallo-Roman remains such as that of Gortyne and many typical villages nestled in the valleys of the mountains, such as Zaros, an ideal starting point to explore the gorges of Rouvas or the cave of Kamares. 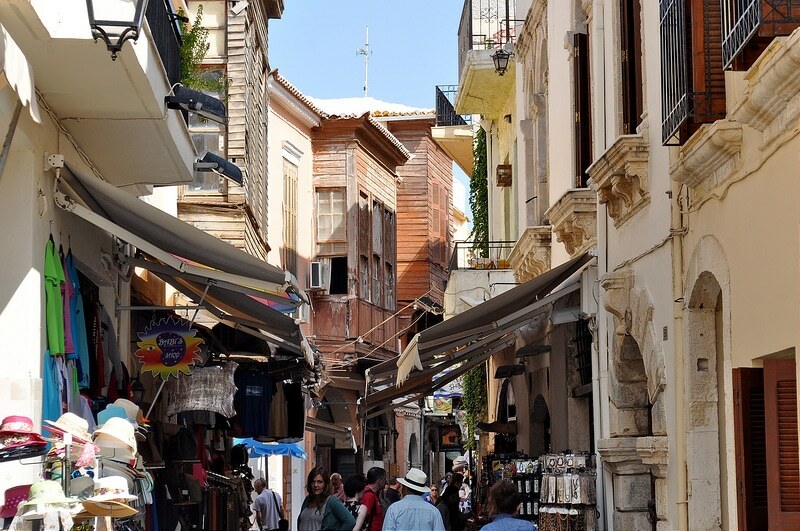 Finally, around the town of Agios Nikolaos, discover the wildest part of the island. The eastern side of Crete boasts splendid natural scenery with an eyeful of mountains and steep coves, as well as authentic villages dotted with old mills, and many remote villages. 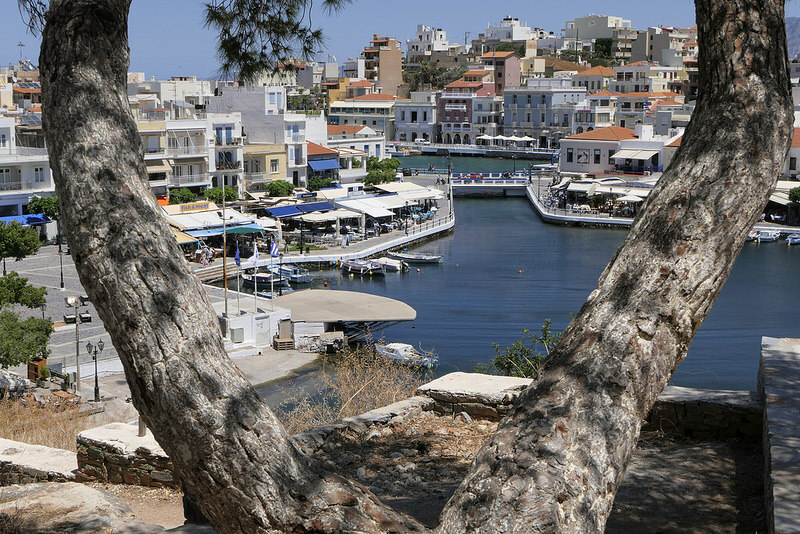 Staying in Agios Nikolaos is a good idea if you want to explore the eastern part and enjoy the friendly atmosphere near the town’s fishing port.